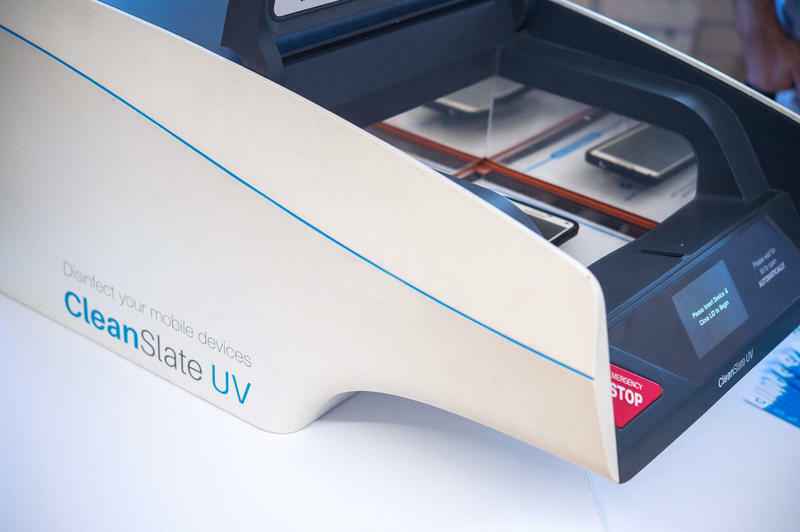 Toronto-based CleanSlate UV came into existence just two years ago with a team of four co-founders. CleanSlate UV co-founders (from left) Graeme Clark, Taylor Mann, Oleg Baranov, & Scott Mason. Mann said infection control practitioners have been raising red flags on phones, tablets, and small portable devices frequently used in hospitals. 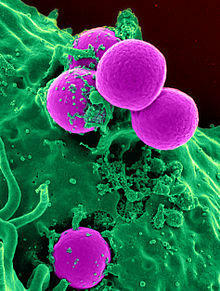 One in four is contaminated with pathogenic bacteria that cause infection. That’s where the CleanSlate comes in. The sleek, somewhat futuristic looking device is only about the size of a toaster oven. After 30 seconds, the mobile device is ready to be removed from the CleanSlate, and it’s left practically germ-free. But as Mann explained, there’s an important distinction to understand between sanitized and sterilized. “Whereas something that goes into the human body like surgical tools, for instance – they’re steam pressure cleaned and they’re completely void of any bacteria whatsoever. We kill a percentage,” said Mann. Because different bacteria respond to UV light in different ways, that percentage varies. For super bugs like MRSA, “we kill 99.999 percent in 30 seconds, which is not only far and away the best of any mobile disinfection system on the market that we’re aware of, but it’s also far above a hospital-grade standard for environmental cleaning,” said Mann. There are similar products on the market but, according to Mann, none work as fast and efficiently as the CleanSlate. One of the more well-known products is called PhoneSoap. After being featured on ABC’s competitive business series SharkTank, PhoneSoap became available to the public for home use, offering sanitation for cell phones in five minutes. CleanSlate isn’t available to the general public yet. But it also has a slightly different target audience right now – places where bacteria are present in high-traffic environments and where speed of sanitizing is an important factor. While the company has origins in Canada, it has branched out into the Buffalo area thanks to the conditions of winning the 2015 43North business competition. 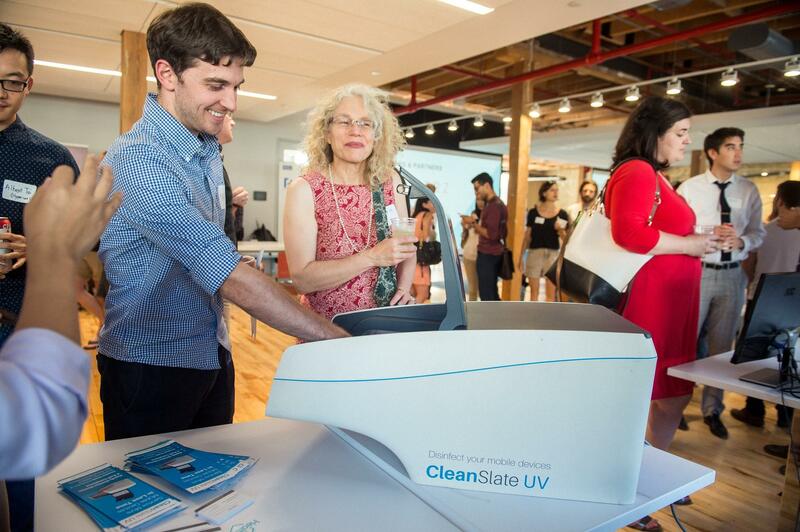 At its new second home in the the Buffalo Niagara Medical Campus’ 43North Incubator, CleanSlate UV also has a local advisory board whose goal is to act as a catalyst and guide. Mann said the board has been incredibly helpful in making connections in what he refers to as the local “ecosystem.” One of those connections led to a recent pilot program for the CleanSlate in Kenmore Mercy Hospital, which Mann said was a huge success. “Having those connections, as a young company, and where speed is of the essence – that is one of the greatest gifts and one of the greatest resources that the ecosystem can give us,” said Mann. In addition to Kenmore Mercy, CleanSlate devices are being used at six other test sites. Because some of them involve ongoing studies, Mann couldn’t reveal their locations, but did say they’re split almost equally between healthcare, food processing, and corporate environments. Now, with a staff of nine people, intentions to hire more in the Buffalo area over the next three months, and another $300,000 award from 43North, future steps in CleanSlate’s evolution remain open to possibility. Check out CleanSlate UV's 43North Class of 2015 page.